With the new Trenchless CIPP Technologies, for governmental pipe restoration, FPS is able to repair all forms of broken, split, or cracked pipes. Our Cured-In-Place Piping System allows us to restore drain lines, sewer lines, stacks, and laterals. This new CIPP pipe has an estimated life expectancy of 50 years. Our CIPP Process is fast and effective. This Trenchless Technology means that we are able to avoid cutting through concrete foundations, digging up landscaping, and excavating paved areas. 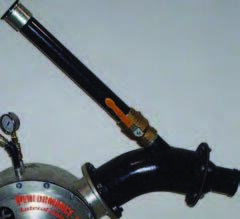 We offer a superior method of pipe restoration that is usually more cost effective than the old fashioned alternatives. The lining is typically positioned within a translucent bladder (or connected to a positioning hose) and vacuum impregnated. Next, the liner/bladder assembly is inverted through the cleanout and directed upstream or downstream by use of a guide shoe. 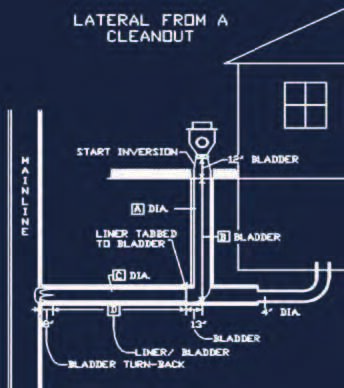 Only the bladder is located within the cleanout since the liner does not begin to invert until it is positioned within the horizontal lateral pipe. 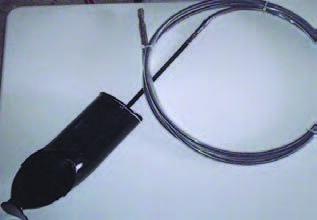 The process includes the use of a camera port which allows a lateral push camera to be inserted inside the translucent bladder, providing visual verification of the liner placement prior to curing. The liner can be cured at ambient temperatures or accelerated with steam. The liner can be installed where the inflation pressure is never compromised; because the liner remains inflated from the time of inversion throughout the curing process. This is an important feature as the pressure used to invert the liner tube may move broken pieces of pipe. If inflation pressure was removed the broken pieces of pipe could fall on the deflated liner. Inflation, deflation and subsequent re-inflation could result in a defective liner which would result in required excavation to repair the defective liner. The LMK process eliminates concern. When cured, the bladder is re-inverted and removed from the pipe. There is no cutting required in the liner because the liner is started below the test tee and past the side connections. Further, the liner is open ended at the main location so there is no cutting at the upstream end or the downstream end. Example: Assume there is a 4-inch cast iron stack with a test tee clean-out. The stack is 20 feet from the foundation and the pipe under the floor is in good condition and contains several side connections. The pipe transitions to 6 inch clay 5 feet past the house foundation. The installer wants to start the liner just past the side connections, yet needs the liner to start in the 4-inch pipe and transition to the 6-inch pipe. The 6-inch line continues 60 feet to the city main. The installer would simply measure from the test tee to the main pipe, mark the camera cable and pull back to the location where the liner is to start in the 4- inch pipe and a second mark is made on the camera cable. A similar application is presented from an outside cleanout. In this case again the distance from the clean-out cap to a determined location is measured using a push camera with markings. The liner and bladder are assembled, resin saturation is performed and the liner is inverted in-place. The key is to begin the liner downstream or upstream of the cleanout vertical riser so no cutting is necessary. Not only does cutting require time and money, it is also very difficult to achieve a full circle, smooth surface cut, especially from a 4-inch vertical pipe that dead heads into the lateral pipe. Previously, lateral linings were inserted from an excavation near the property line or near the house foundation. Excavation pits are messy and represent higher cost, restoration costs, more risk and take more time to repair the defective lateral pipe. This method for lining through a cleanout with no cutting required eliminates the need for an excavation pit, reduces cost and additional laterals can be renewed in a day. The homeowner is positively happier because their yard is not torn apart and their sewer has been renewed in just a few hours. The system allows for installation from one access point, typically from an outside cleanout or an inside cleanout that is normally located in the basement. The installer can determine the placement of the lining by where they position the liner within the bladder. Scenario (1) describes how the system could work from a basement and save a lot of extra time and money. The camera cable is laid on the ground, and the distance from camera head to the mark closest to the camera head is the length of the liner. The distance from the camera head to the second mark, furthest from the camera head is the length of the bladder. The liner is measured, cut and inserted into the bladder. The liner is then temporarily connected to the bladder. The liner is resin saturated inside of the translucent bladder which allows for visual verification of the resin saturation process assisted by pulling a vacuum on the assembly. Next, the liner/bladder assembly is loaded into a mobile launching vessel and the guide shoe is inserted into the test tee positioned downstream. The launching vessel is positioned with the opening of the test tee and inversion air is introduced causing the bladder to invert. The bladder first encounters the guide shoe and is directed towards the downstream. The bladder continues to invert until it reaches the location where the liner begins. The bladder which is temporarily attached to the liner pulls the liner over the bladder and now both the liner and the bladder are inverting. When the liner has fully been deployed, the bladder continues to invert a short distance so it extends beyond the liner. The liner can virtually begin anywhere in a pipe and applications are not limited to lateral pipes. Another application for this new technology occurs when a mainline pipe has only one manhole access. 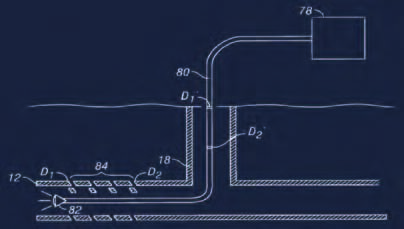 Typically CIPP Sectional liners require an upstream and downstream manhole for pulling the liner into place. 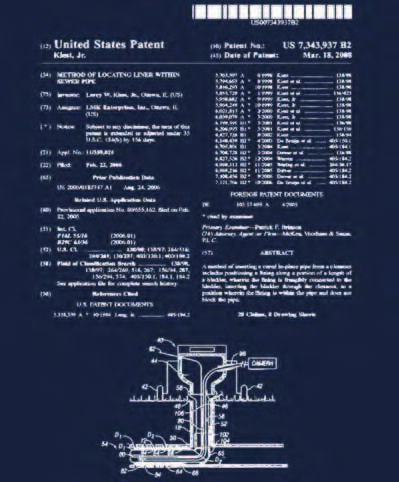 This new patented method for inverting a liner anywhere in a pipe allows a bladder to be inverted into the pipe to a desired location. Then remotely causing the liner to start inverting at this pre-determined location which is exactly where the liner is to be located. Another aspect of this new technology includes the use of a camera port. The camera port is a pressurized port where a lateral push camera is inserted in the interior of the translucent bladder. 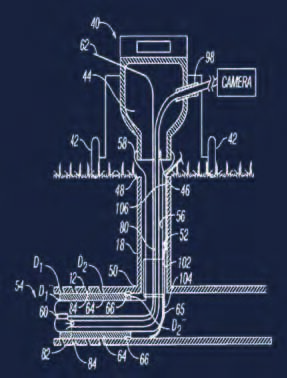 The camera provides visual verification of the liner placement ensuring that the liner started in the proper location and that the liner is fully inverted, not protruding into the governmental main pipe. 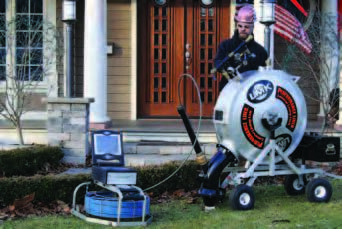 The Performance Liner Lateral System is a unique cured in-place process that allows the installer the freedom to position the liner anywhere in the pipe by inserting through a cleanout. The liner can be directed either upstream or downstream using LMK’s patented guide shoe. LMK’s Lateral system is truly a zero dig situation for renewing lateral pipes since the entire process can be completed through a cleanout. Gasket sealing “O” rings are placed at the upstream and downstream ends of the liner providing a verifiable non-leaking lateral liner that is compatible with all types of piping. LMK’s lateral liners also include compressible material at the upstream end of the liner producing a smooth tapered transition to the old pipe. This process renews laterals from 4 to 8 inches in diameter in continuous lengths up to 130′. Inversion tanks come in two sizes (36″ or 18″) and are equipped with a camera port so the liner can be visually inspected under pressure for proper placement prior to the liner being cured.